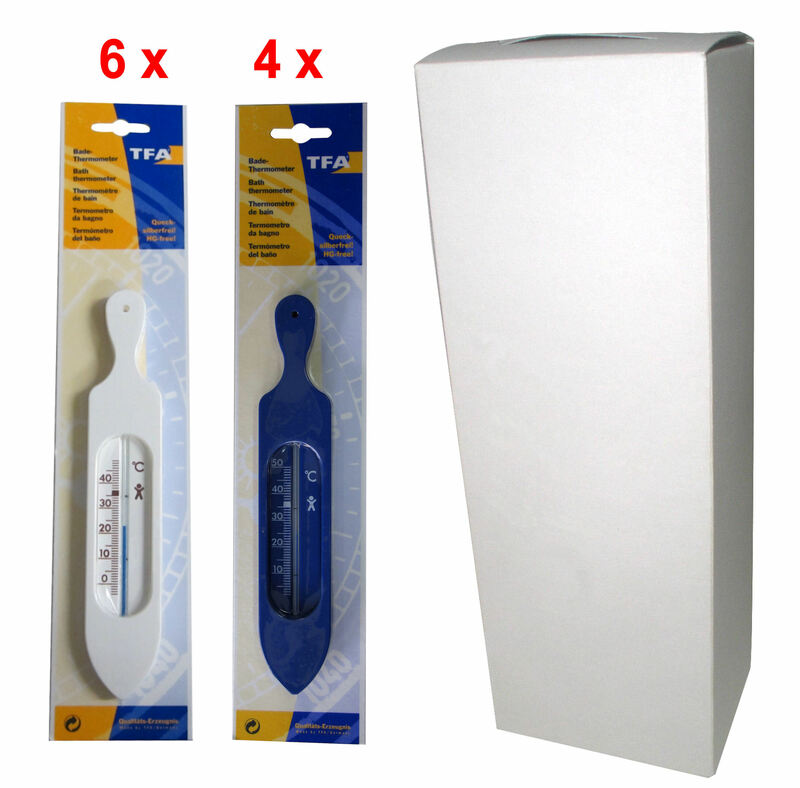 Home » Health » Bath thermometers » Analogue bath thermometers » Bath Thermometer Set 10 pcs. With this simple, yet practical bath thermometer with a handle, you will never again run the risk of getting scalded by a hot water bath. It is particularly suitable to increase the safety during bathing, especially for babies, children and elderly people. Or it can be simply used to increase your bathing comfort. For ease of use, the optimal temperature range is marked.